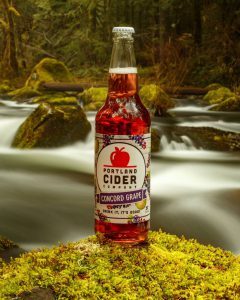 CLACKAMAS, Ore.– Portland Cider Company will release its Concord Grape seasonal cider in 22-oz. bottles and draft this Thursday, Jan. 17. A blend of 100 percent Northwest apple cider and freshly-pressed Northwest Concord grapes, this royal purpled-colored cider is the crowning jewel of Portland Cider’s seasonal releases. Portland Cider Co. will celebrate the release with a “Grape Gatsby” party at both its Portland-area pubs on Thursday, Jan. 17, from 4 p.m. to 9 p.m. 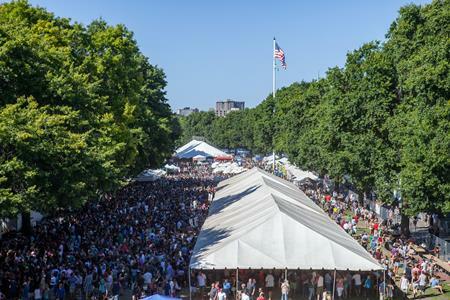 The event will feature two cider cocktails with a Roaring Twenties theme, and guests who show up in dapper and flapper duds will receive a special discount. Concord Grape is available through April in 22-oz. bottles and in 1/6-barrel and 1/2-barrel draft kegs. It can be purchased at either of the company’s two taprooms, as well as at select retailers in Oregon, Washington and Northern California. Visit Portlandcider.com/concord-grape for more information.